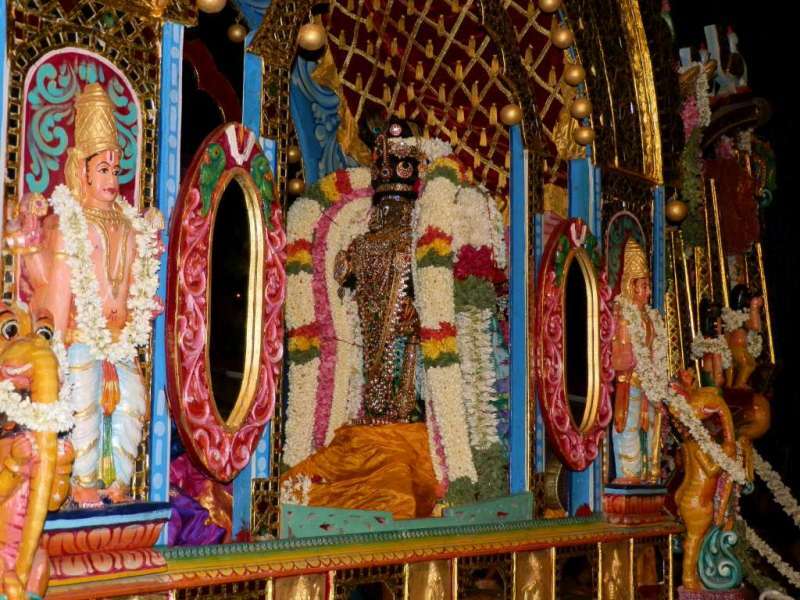 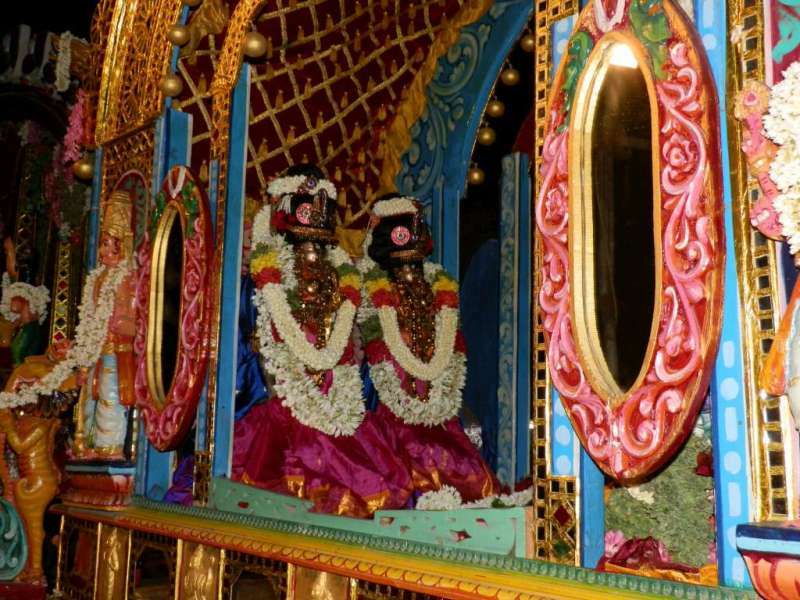 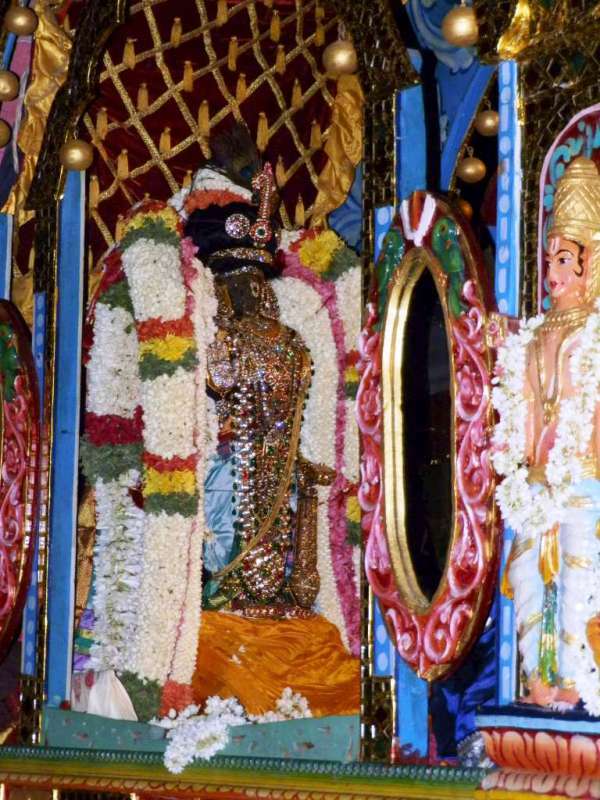 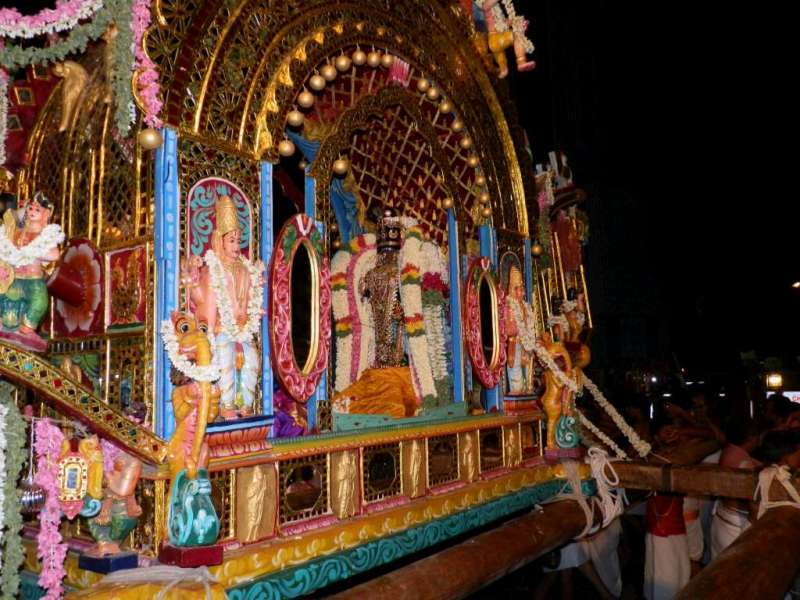 On the Ninth day evening of the Sri Parthasarathi Swami Brahmothsavam, at Thiruvallikkeni divyadesam [2nd May 2013]it is – ‘Kannadi Pallakku’ – the palanquin embedded with beautiful mirror work. 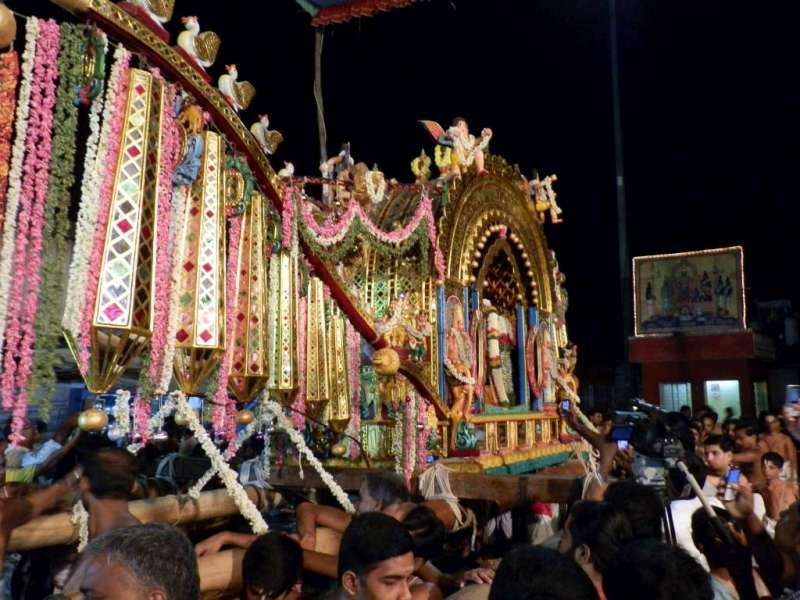 There was a big, captivating, eye-capturing palanquin made of glass – rather with glasses fitted all over and with chandelier like things suspended on its arms. 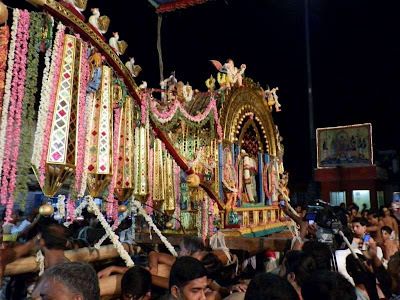 Slowly it faded into oblivion as it was not maintained properly and glass pieces started falling as it was not maintained in the proper manner. 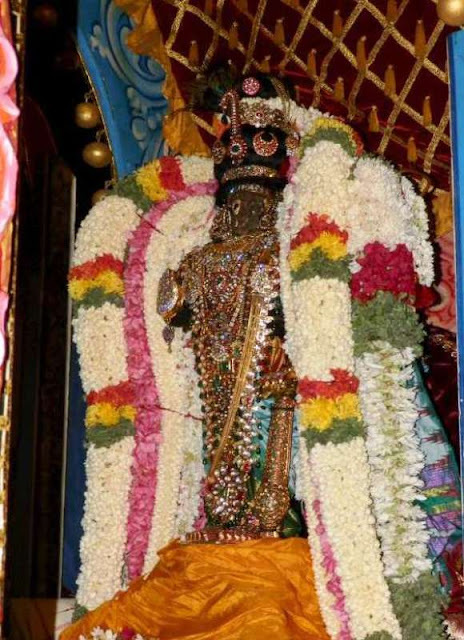 For a few years, when there was no ‘Kannadi Pallakku’, Sri Parthasarathi had purappadu on ‘punniyakodi vimana chapparam’. Then a newly made one – looking differently than the earlier one was submitted. 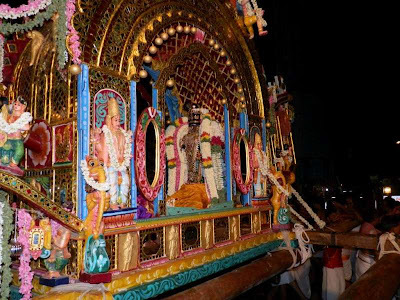 Now there is purappadu in the ‘kannadi pallakku’ – literally the palanquin made of glass. 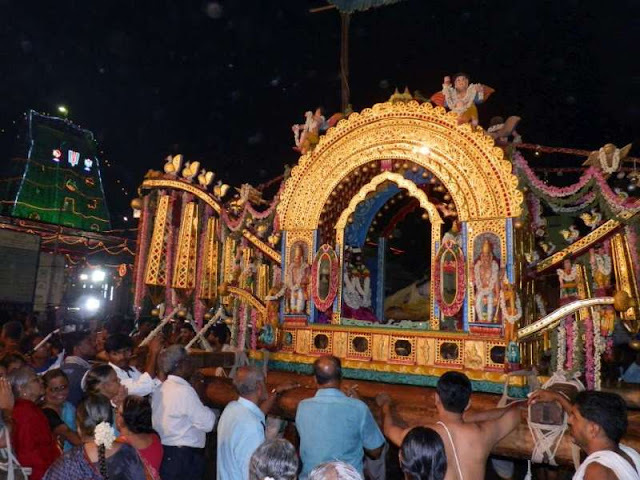 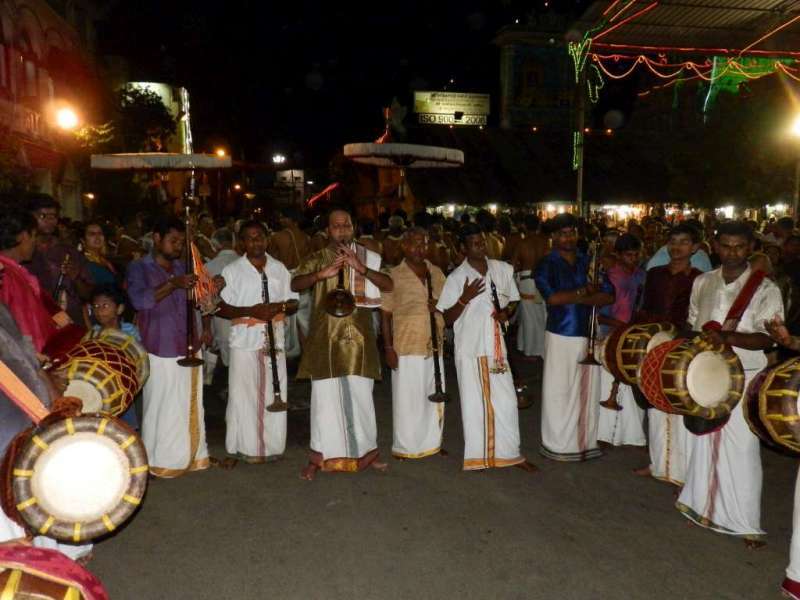 What time will kannaadi pallakku start from the temple and do the rounds on Monday, 7th May, this year?